Have you ever picked the most perfect and amazing button for your project, only to find that the button hole opening was so microscopically tiny it was impossible? I love using matching yarn for my button sewing, so it can be super tricky! Of course you can always use traditional needle and thread, but it you want to use a pretty matching piece of yarn, not to worry, I have a super easy trick for you! *Note: You can also use a tool called a bead reamer (a pointy file that opens up beads, but can be a little tricky for buttons because of the multiple openings, which can weaken or damage the button. Use with caution! Love the scarf from this video? 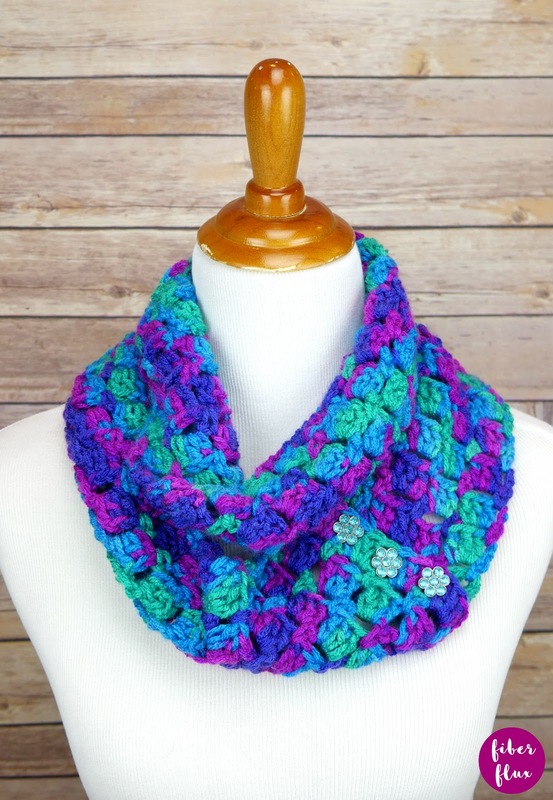 Check out the Joyful Jewels Button Scarf free pattern + full video tutorial!